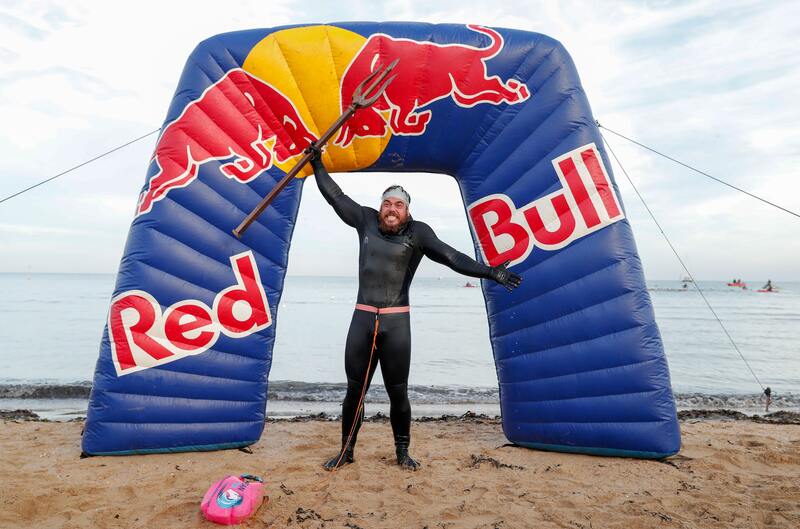 Adventurer Ross Edgley has revealed how inspiring others was one of the biggest achievements of his epic Great British Swim. In an interview published in the final edition of Swimming Times, 33-year-old Ross talks candidly about the highs and lows of his 1,792-mile swim around the coastline of mainland Great Britain – and the effect it had on him and others. He said: “One of the main things I wanted to get out of the swim was inspiring others, no matter how big or small that bit of inspiration was. “It could have been someone’s first 10k or an ironman – it didn’t really matter. Ross’s determined efforts to complete his challenge certainly had an impact on a number of people – none more so than Jody Jones. The 40-year-old, from Hertfordshire, was diagnosed with stage four bowel cancer in 2017 and went through major surgery and six months of chemotherapy. But she continued to go swimming and said Ross’s efforts had been an ‘incredible inspiration’ to her – and will be as she attempts to swim the Channel. “I’ve had to dig seriously deep,” said Jody. “Just as I will when I finally get my day trip with a difference to France. “I can only imagine how many times Ross had to dig deep on his incredible journey. I’ve really enjoyed his vlogs, tweets and Facebook posts. The message about finding determination and grit when faced with tough or extreme challenges really resonates with me. “The past 10-and-a-half months have been extremely challenging for me, my husband and our two young daughters – without swimming, it would have been even harder. Meanwhile, the Great British Swim has made Trevor Mose even more determined to carry on open water swimming. Trevor, who has MS, is looking to take part in more long distance swims after being part of the 400-strong group that swam the final mile of the Great British Swim with Ross – which he said was ‘amazing’. The 41-year-old, from Hertfordshire, who trains with Stevenage Swim Club Masters twice a week, said: “Since I was diagnosed with MS, swimming is the sport I have clung onto. “I’ve stopped running because I just can’t do it, I’m struggling to walk about but I can hold onto my swimming. “Just watching something like this and thinking actually, you know, that feels inspiring to me. I like Ross’s thing about potential and the fact your body is about your potential but your mind tells you how you’re going to use it. Read Ross’s full interview in the January-February final edition of Swimming Times, on sale from the end of January.